Another day, another big retailer in a world of pain. JCPenney revealed on Friday it lost more money than feared. The bleak news sent its stock plunging more than 15% and below $4 a share for the first time ever. Yup. JCPenney is now a penny stock -- a Wall Street term for a company trading under $5. JCPenney (JCP) said it lost $62 million in its second quarter. That's more than a year ago. The retailer also said that same store sales -- a measure of how well stores open at least a year are doing -- fell more than 1% during the quarter. JCPenney is the latest department store chain to announce dismal results. 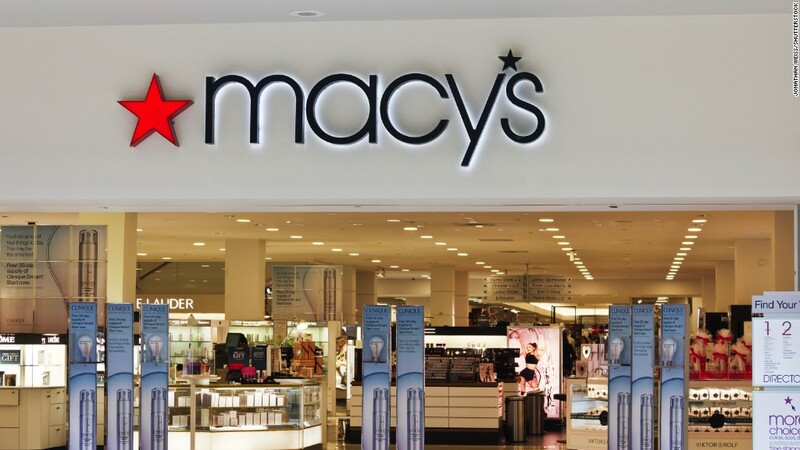 Macy's (M), Kohl's (KSS) and Dillard's (DDS) all reported a decline in same store sales on Thursday as they struggle to compete against Amazon (AMZN) and Walmart (WMT). The massive shift in the retail landscape has led many chains to shut down underperforming stores. JCPenney is one of them, announcing earlier this year it would be closing 138 stores. JCPenney wound up delaying the closings by a month though after consumers rushed to many of the stores to take advantage of the massive liquidation sales. But JCPenney CEO Marvin Ellison said the inventory liquidation is now largely complete and that the smaller and more focused company is actually off to a good start for the key back-to-school shopping season. Ellison said sales of all apparel -- and kids' clothing in particular -- were doing well so far this month. As a result, the company said it is not changing its earnings outlook for the year. It still expects a profit, but same store sales are likely to be flat. JCPenney is also looking to expand its online operations in order to be more competitive with Amazon and Walmart. And Ellison said during a conference call with analysts that the company is continuing to focus on adding newer products, such as toys and appliances. The goal is to make JCPenney less reliant on clothing, shoes and furniture. Ellison also said during the analyst call that JCPenney expects many retailers to ramp up promotions and discounts to try and lure shoppers into their stores. The CEO warned these sales may be even more aggressive than "what we've traditionally seen." Ellison expressed confidence that JCPenney won't have to cut its earnings guidance as a result of tougher competition from its rivals. Wall Street remains skeptical. Chuck Grom, an analyst for Gordon Haskett, wrote in a research report on Friday that being a JCPenney investor is "almost as depressing as being a NY Jets season ticketholder" -- a reference to the perennially bad football team. It's hard to imagine how things could have gotten worse for JCPenney after hedge fund manager Bill Ackman tried and failed to shake the company up a few years ago. But JCPenney's stock has fallen more than 50% so far in 2017 and has plummeted 85% over the past five years. Remember the awkward JCPenney marketing slogan tried during the 2014 Winter Olympics? "When it fits, you feel it?" Well, investors aren't feeling it -- and neither are consumers.